Teen centers in Uruguay providing adolescents with job skills, education, family counseling and other social services. The Kiwanis family, in partnership with UNICEF, is working to eliminate maternal and neonatal tetanus through The Eliminate Project. How? By raising US$110 million by 2015. This year Key Club Trick-or-Treat for UNICEF funds will support The Eliminate Project, which will provide resources and advocacy to support elimination of maternal and neonatal tetanus with UNICEF and partners. Also encourage your K-Kids and Builders Club within the community to take action! The following resources can help make your club have an impact around the globe, saving millions of women and babies. Any Harry Potter fans here? 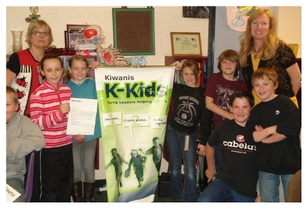 Click here to read about Columbia Kiwanis and their magical success for the Eliminate Project! Help make the magic come alive! 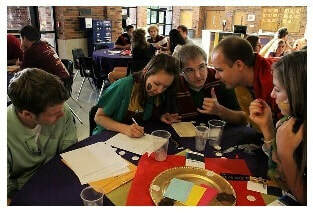 ​Other branches in the K-Family besides Kiwanis and Key Club are making the world a better place! Click here to read about the amazing difference K-Kids have made, and here on how a Builders Club have changed hundreds of lives in Africa!